One of the most well received sports franchise in 2K’s Bag, their NBA series of games have always done well overall and expectations are high as NBA 2K16 hits the shelves. As someone who has shot and watch the games from the side-lines but never played them (due to an old injury from my younger days), I was looking forward to getting onto the virtual court and see if this latest entry lives up to the series name. 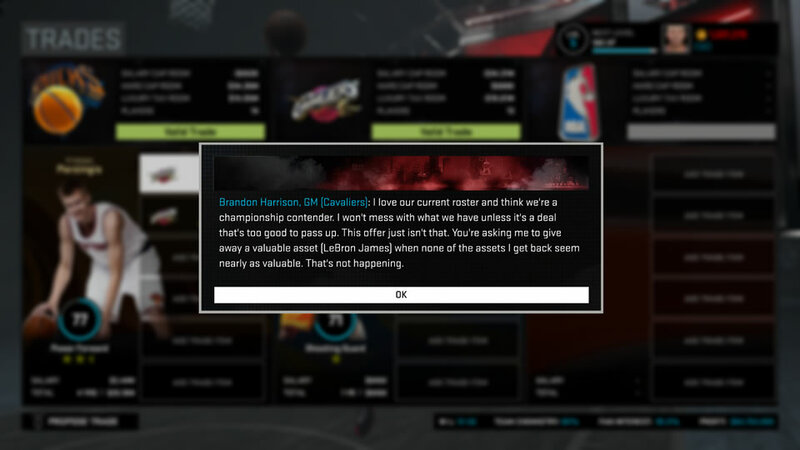 Thankfully the MyCareer mode is the only disaster about the game. Everything else is as expected of a triple A sports game out in the market. While the PC version (which this review is based on) did give quite a few facepalms with the bugs and lags as what the STEAM community has complained, those looking to pick up the game should ensure they got all their drivers updated and not to push their machine beyond why their specs can handle. Else with an i7 CPU, 16GB RAM and the huge 980Ti Overclocked by Zotac in my PC, the graphics and overall feel was GLORIOUS! as they say. Game engine mechanics wise, developers Visual Concepts kept their A game up with amount of strategies you can bring to the virtual court. Going one-on-one with your star player? Sure go ahead with spinning, pumping and falling away your shot. In fact it feels possible to even size up the defence to experiment what style of play gets you those valuable uncontested shot. Everything feels sharp and tight and while the AI is still not perfect, it definitely will still give you a run for your money for careless mistakes. Only drawback from the whole experience is the lack of training and tutorials so those new to the series will see a steeper learning curve. 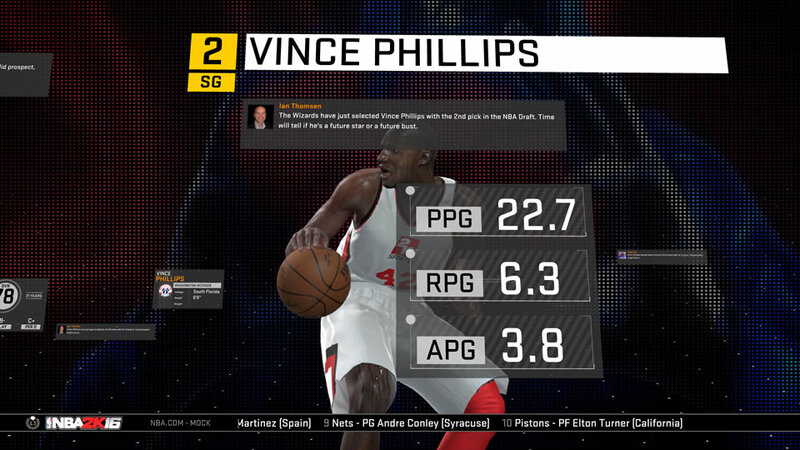 Overall NBA 2K16 is still a good addition to fans of the series if they can overlook the MyCareer mode as everything else is a step forward. 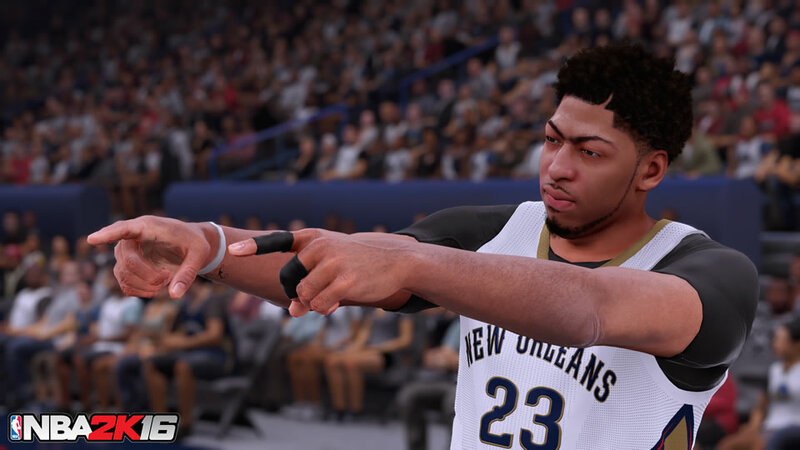 From good music from the game track to an updated line up of players from the current season, there is no reason why fans will not want to pick up NBA 2K16.